A combination of unrefined extra virgin coconut oil and extra virgin avocado oil, Cocavo has less saturated fat than regular coconut oil. In addition to being high in lauric acid, Cocavo also offers the added health benefits of avocado oil which includes high levels of mono-unsaturated fat, vitamin E and plant sterols. Cocavo has a very high smoke point, which makes it ideal for cooking and enhancing flavors. Cocavo is carefully infused with selected chilli and lime oils giving you the perfect blend. Cocavo enhances and brings out the flavors in dishes from seafood to stir-fry. It is ideal for vegans, vegetarians and non-vegetarians. 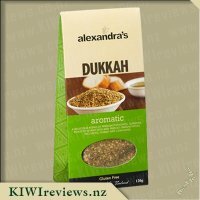 When I first saw this product I thought it would be something great my partner could use to help add flavour to her meals. 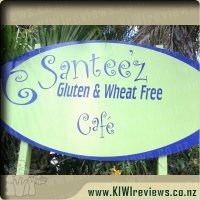 Being that she is gluten intolerant and a vegan it can be a struggle to flavour her meals adequately by finding something that not only caters to her but adds its own unique taste to the meals. 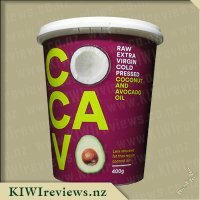 Previous to having the Cocavo coconut and avocado oil with chilli and lime she was using plain coconut oil for cooking her meals. Even adding herbs and spices, she still found the meals to be lacking real flavour and being quite bland. Now that she has started using the cocavo oil she has stated it has added a great flare to her meals and tastes great which is why it will be her go-to source for meal prepping. After tasting a few of the meals she had paired it with I was convinced it really does add a wonderful spice flavour to the meal that is just right chilli wise and not overly too spicy. 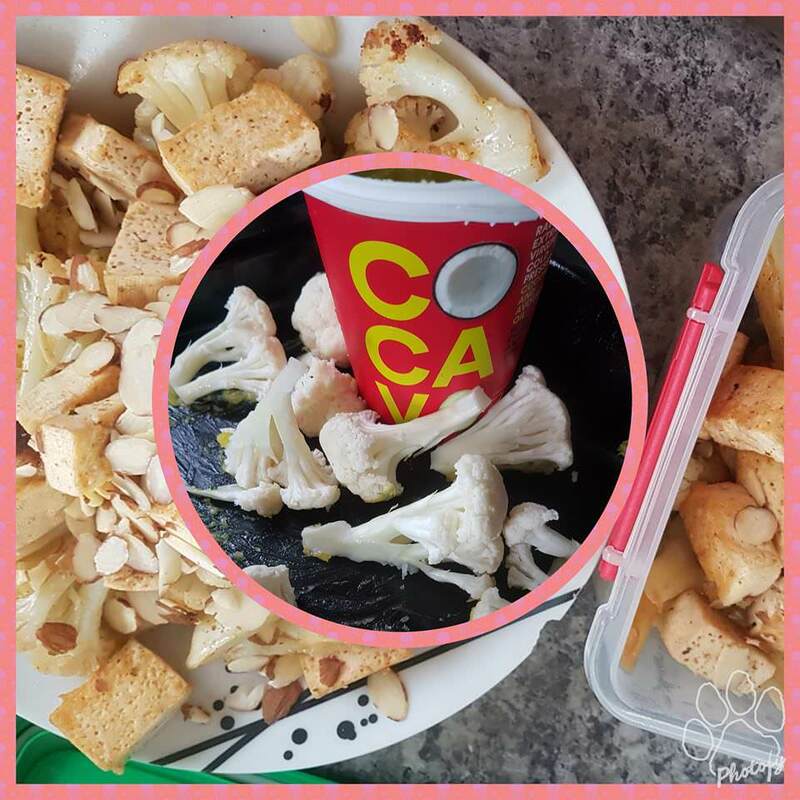 One of the meals she made was a mix of cauliflower, tofu, quinoa and almonds and the Cocavo chilli and lime suited it so well. Since then she has used it in numerous other meals and I have cooked a porterhouse steak in the oil and found it gave the steak a lovely flavour that paired so well with it. The only gripe I have with it is that there isn&apos;t really any lime flavour that I can taste and on the ingredients list it is at the bottom which generally means it is the smallest portion added. So if there was anything they could improve on it would be by adding more lime oil to the mix in my opinion. The best thing about this oil is that it is so versatile and can be used for any meal you cook using oil and infuses a perfect light chilli taste to the meal. I will be keeping my eye out for the other flavours in the Cocavo range and look forward to trying them out also. 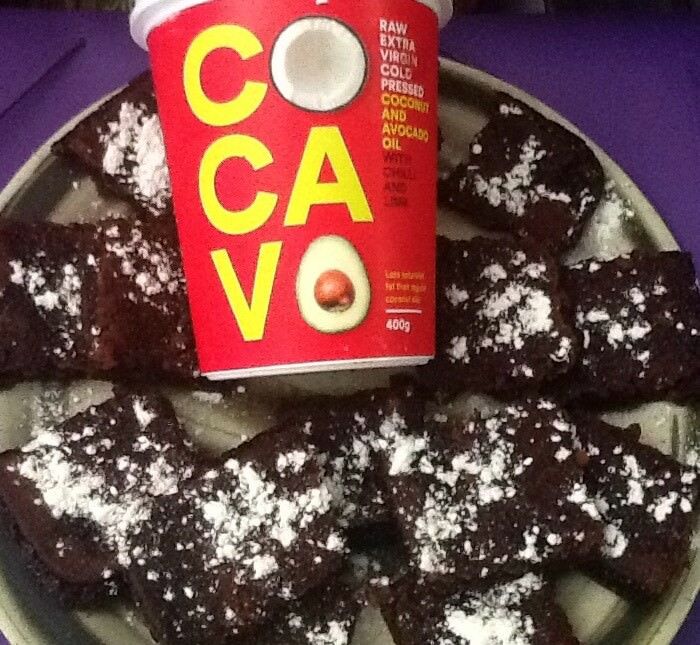 My partner has defiantly found a winner in Cocavo and will be using it very regularly for all her meals. 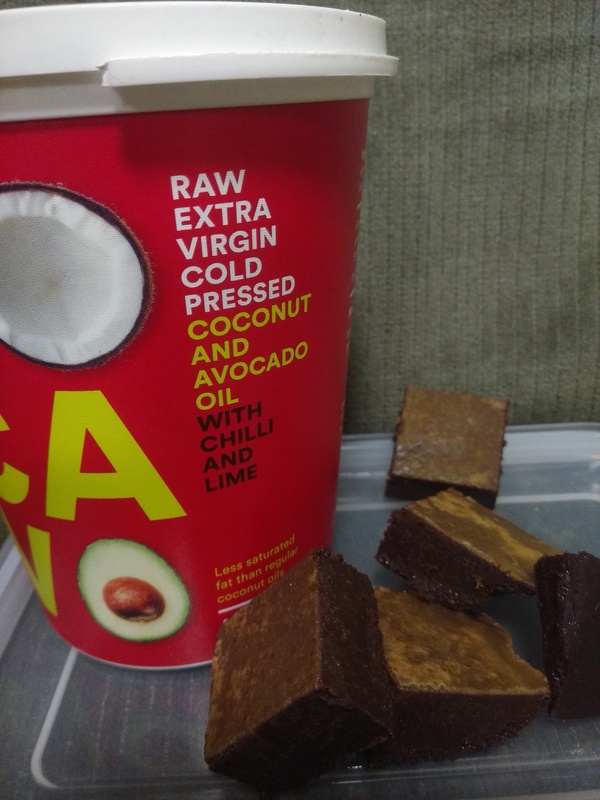 I came across the Cocavo Coconut and Avocado oil earlier this early at our local food show, I tried some straight on a cracker and was pleasantly surprised by the raw taste of the oil. It was actually quite nice. So my sister and I decided we&apos;d pop back on our way out and buy a couple of pots to take home, unfortunately we ran out of time to go back and get some. A few weeks later I saw it pop up for review so I put my name forward to review both the Chilli & Lime flavour and the original. As soon as they arrived I put some into a container to send home with my sister to try as well - two testers are better than one. The first thing I wanted to cook with the Chilli & Lime oil was roast vegetables. I scooped 2 teaspoons of oil onto a baking tray covered in baking paper and popped it into the oven for a couple of minutes to melt while I prepped my vegetables. I then popped the vegetable onto the melted oil to cook. Firstly it sped up the cooking time of the vegetables, and secondly, it gave them a nice subtle flavour. The next night I did the same and cooked the children&apos;s frozen potato chips in the oil for a healthy alternative to regular cooking oil. I was so impressed with the crunchiness it gave the chippies and the children were none the wiser it was cooked in coconut oil. 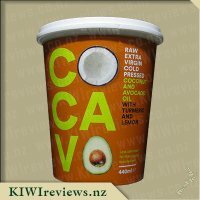 I love that Cocavo is made from all natural ingredients and it has less saturated fat than regular coconut oils, that&apos;s a plus for me. I also love that it&apos;s suitable for vegans as my other sister is a vegan and I&apos;m always double checking the oil I cook her food in is suitable for her. The sister I gave some Cocavo to, to try out absolutely loves it and wants to buy more - her words not mine. All in all this flavour is a win from us and we will be purchasing more in the future. Thanks Cocavo! Having already tried two of the oils in this range, both with savoury dishes, I was looking forward to testing this one. Because chilli can dominate a dish, I started by tasting a little to check out the strength. The chilli was definitely present; apart from that, I loved the green appearance of the oil. Something a little different, and no doubt attributable to the lime content - which was noticeable, but again was not too strong. I thought about various ways I could use this oil, but could not think of anything other than a meat or bean concoction which would probably mean I would not really get the best out of it. Then I remembered a chocolate bar I had recently purchased - a strong, bitter chocolate which had been enriched with chilli and tasted superb. I also remembered some of the cakes my aunt used to make - gingerbread and chocolate cake made with oil instead of butter, which gave them an intriguing texture and a lovely aftertaste. It was quite easy to find recipes online. I finally settled for one which looked similar to the chocolate cake my aunt used to make, so I assembled the ingredients but substituted the Cocavo for the vegetable oil that was listed. I used slightly less than the recipe suggested as I knew from experience that the finished product can be too heavy if you use too much. Other than that, I followed the recipe exactly, cooking it in a flat tin and leaving it in the tin to cool. The result was a lot better than I had expected although it was still a bit heavy, more like a light slice than a cake. I cut it into pieces while it was still hot and sprinkled icing sugar on top. An hour to cool and then I was able to offer it to a group of family members ranging in age from four to 75. I did not tell them what was in it; I just waited for the reactions. Lastly, I took a piece for myself. It worked! Several of the older family members said they could taste "something spicy" but only one correctly identified it as chilli. 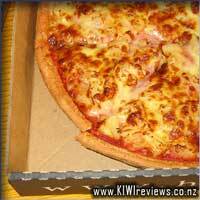 The lime flavour was even less obvious once it had been cooked. The children enjoyed the cake too, quickly finishing up all that was left. Luckily, I had taken a photo before the vultures moved in. My cousin thought it would also be nice served hot with custard like a steamed pudding, and asked when I was going to make it again. 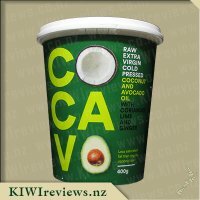 His wife went one better; she asked to see the Cocavo tub so she could get some herself. Unlike me, she is a compulsive cake maker and loves to try new recipes. I am going to try the recipe again but this time I will use even less oil and see if I can make something more like a sponge cake. I can see I will be going through the tub fairly quickly at this rate, but that is all good. It is not often that our whole family likes something. Usually there is at least one person who complains about the taste! 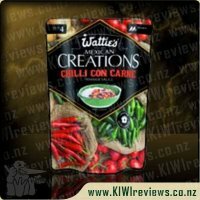 Now, I&apos;m not a huge fan of chilli but I&apos;m always happy to give it a try to see if a new way would taste nice and be enjoyed by the family if not just myself. The colouring of this pot means that it will stand out from the crowd as all the other brands I&apos;ve seen so far are mostly white and black, perhaps a bit of brown too. What the main label says is what you get, coconut oil, avocado oil, chilli oil and lime oil, always refreashing that what you see is exactly what you got without any hidden surprises. Handily on the pot there is a small measurement aid which will make things a little easier for people to measure out and use. Opening it up and it is a pale green colour, the lime was very easy to smell with a hit at the back of your nostrils of the chilli. I used this initially with a stir-fry and found that it had quite a huge hit of chilli, far more than I liked and the kids all vehemently shook their heads at having more. I decided to the experiment and use it in a vegan fudge, combining this with honey and cocoa before letting it set in the fridge. Sharing this out with the family I awaited thei opinions. My mum thought it tasted delicious whilst two of my children promptly rang for a cup of milk, however one child loved it and wanted more and more?!?! I myself, didn&apos;t like the fudge so I was happy that one child liked it. This is a versatile oil but not one that I liked enough to buy in the future. I was excited to try this oil as I love coconut oil and I loved flavours in my cooking. I Love chilli and lime so was interested to see how well it tasted. When I opened the pot I could smell the lime flavour. I decided to use it with a stirlfry and so I put a spoonful in my pan. I added y vegetables and cooked them up. When cooking I could smell a faint lime flavour. When eating my stirlfry and I could taste was lime, and did not get any chilli flavour from the oil. I would have wished to have got a hit of chilli and a hot chilli flavour at that. The lime flavour could have been less and the chilli more. I tried using the oil with venison steak to see if I would enjoy it. It was not my cup of tea though, the lime flavour was to strong for the meat. I do not think I would use the pot in a hurry and it might end up going off before I get to use it. I do however like the design of the pot and the colours are eye catching. For the price I would think it needed to have more chilli in it so the buyer would be 100% happy with it. However if you like a strong lime flavour then this would be right up your alley. 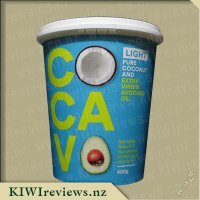 I had already tried the original Cocavo and if you read my previous review, you will see that it does have positive aspects, healthy oils, less saturated fat and a reasonable size tub for the price that you pay. I wasn&apos;t particularly impressed with the original but I figured I would go into this one with an open mind, particularly with the mild flavouring, it might be one that I would enjoy more. I won&apos;t go through all the problems in detail that I had with the other one but suffice to say I had the same issues here, difficult to judge how much to use, cools to a solid in the pan, over utensils etc. Unfortunately I found a couple of additional things that were frustrating for me. My partner and I like to be able to rub oil over our steaks before cooking them, it gives them a nicer flavour and they cook better. With this oil being a solid, I couldn&apos;t do the same thing. I tried melting it and then rubbing the melted oil over the meat but once the oil was cooled, it just turned solid again over the meat and instead felt greasy. When we cooked we didn&apos;t use any other seasonings as we wanted to see how much of the chilli and lime came through. We tried it with pork, venison and beef. The flavour was best noticed on the beef, very mild but nice. My partner however, only really noticed the mild coconut flavour each time. 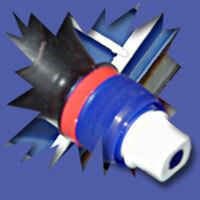 The package advises that once opened, the oil should be used in 3 months. With a flavoured oil like this, we wouldn&apos;t use it as often so there is no way we would go through the whole pack in 3 months, making it a waste of money for us unfortunately. I really wanted to like these oils but unfortunately I really didn&apos;t, it won&apos;t be one that we will be adding to the shopping I&apos;m sorry. 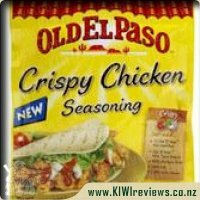 A delicious blend of Mexican spices, pinto beans and capsicum making the perfect rub for chicken, pork and lamb burritos.